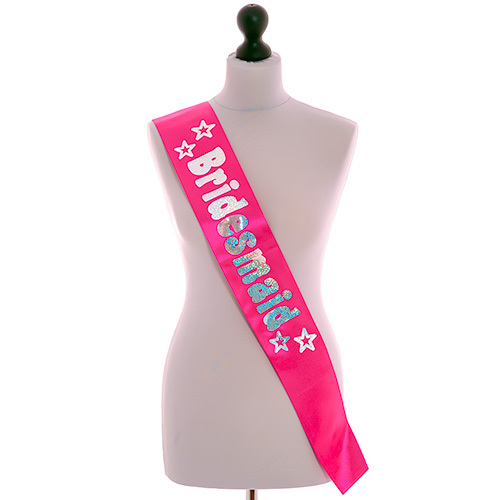 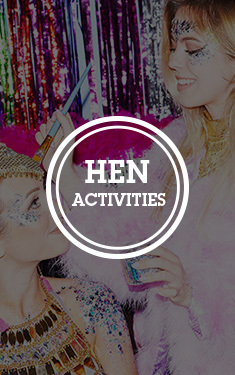 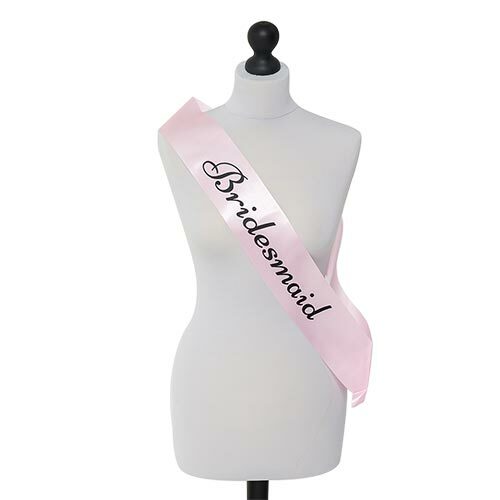 It's important to recognise the bridesmaids within the hen party and with these stylish sashes you can do just that. 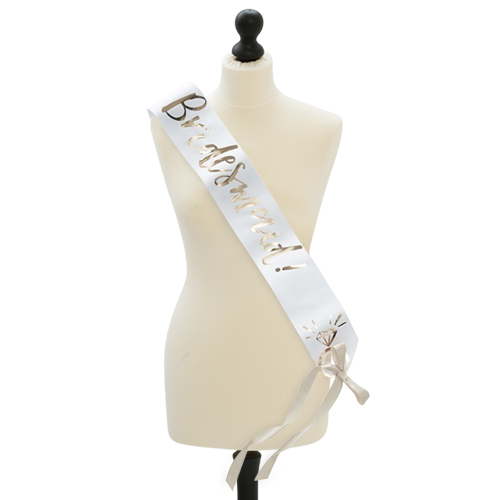 This is a two pack of bridesmaid sashes in the Floral Team Bride style with rose gold design and pink ribbon fastenings. 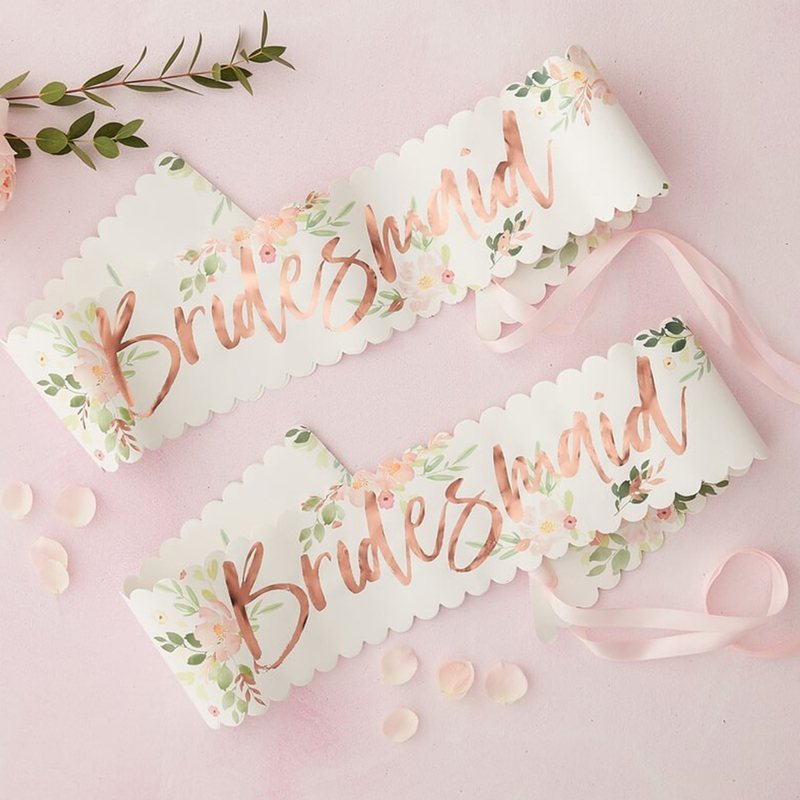 These sashes are part of the Floral Team Bride range and they can be bought along with the matching sashes for the bride to be, mothers of the bride and groom and also the Team Bride version for the rest of the group. These are 10cm wide and are 76cm long when folded over, the ribbon fastening allows a certain amount of size adjustment too.